What is the generational cycle of abuse? Tragically, child abuse is often passed down from generation to generation. Frequently the parents of abused children have a history of child abuse in their own families. It is if they have learned automatically to treat children the way they have been treated. It is important to note, however, that the majority of abused children do not grow up to abuse their own children. Moreover, several factors buffer the effect of childhood abuse. For example, victims of child abuse with greater levels of education, social support, and financial security are less likely to abuse their own children. Child abuse is often passed down generation to generation, but the cycle can be broken. 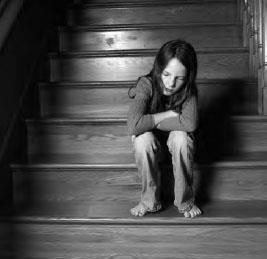 The majority of child abuse victims do not grow up to be abusers themselves (iStock).